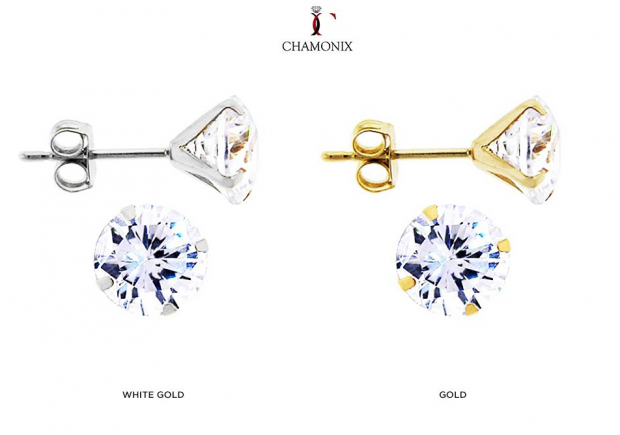 Chamonix 2Ct CZ Solid 14-Karat Gold Stud Earrings Only $18 Shipped! You are here: Home / Great Deals / Chamonix 2Ct CZ Solid 14-Karat Gold Stud Earrings Only $18 Shipped! The twinkle of these earrings will only get brighter in the summer sun! Get the Chamonix 2Ct CZ Solid 14-Karat Gold Stud Earrings for Only $16 plus $2 Shipping! Made of 14kt solid gold, these gorgeous studs feature glittering cubic zirconias for the perfect glamorous touch. They’re incredibly versatile, and can easily be dressed up or down!